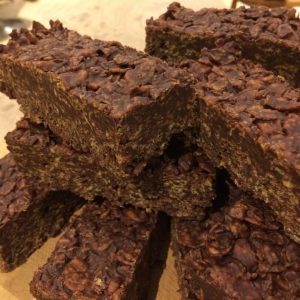 Order homemade brownies online at Homemade By Linda, Leicester – Wish to order some delicious homemade brownies online? 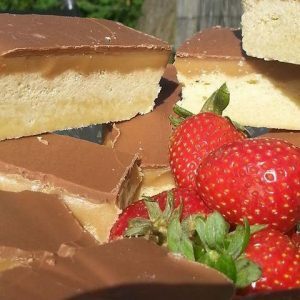 Call Homemade By Linda in Elmesthorpe, Leicestershire, on 07800 801 124 to order cakes online. Brownies & Sweet Treats, Get yours today! All orders are wrapped with great attention to detail and couriered in a quality re-usable tin. Get in touch today! My name is Linda Sturgess and I love baking. 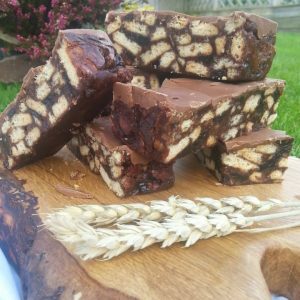 I have a passion for baking and create delicious and irresistible sweet treats for all occasions. As a child, I grew up on a farm and helped my mother in the kitchen as a keen young baker. 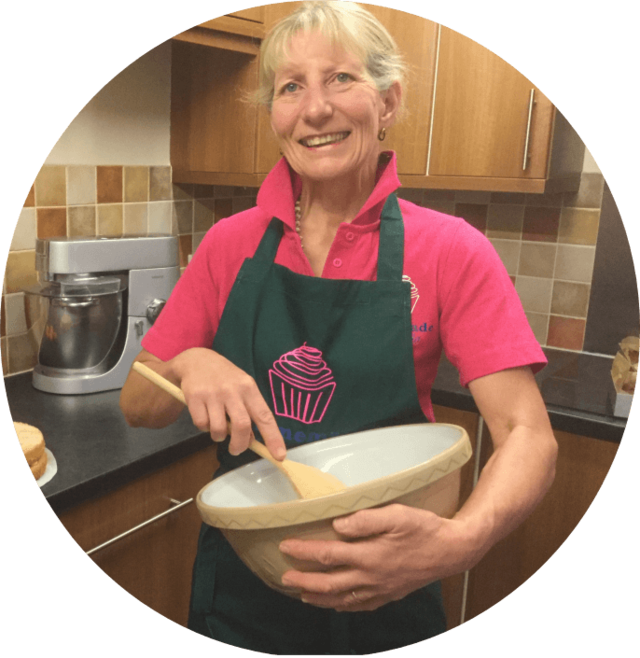 I have 25 years of experience in baking and work from my home in Hinckley. My purpose-made kitchen has a five-star hygiene rating from Blaby District Council. Visit the gallery page to see some of my delicious creations. They are all available online and will be delivered within the shortest time possible. 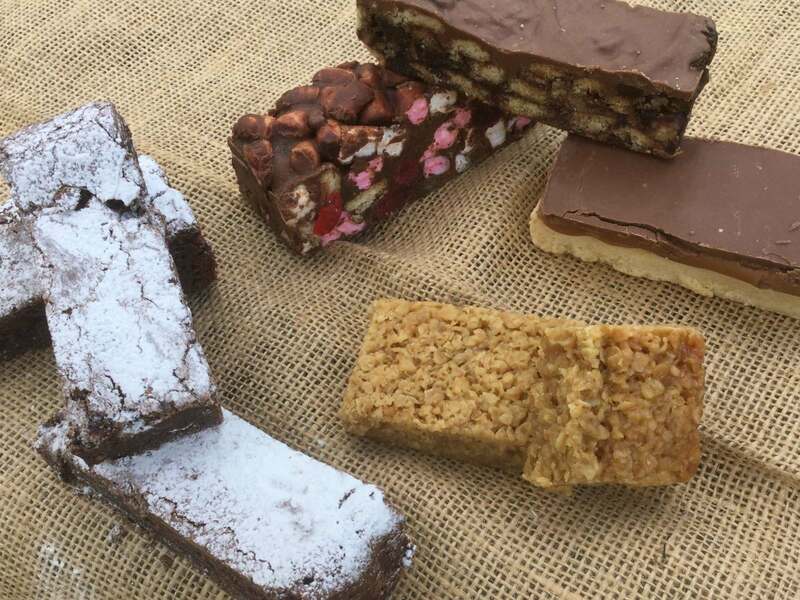 Based in Leicestershire my cakes are available across the UK including Birmingham, Leicester, Oxford, Cambridge, Peterborough, Milton Keynes and Loughborough. 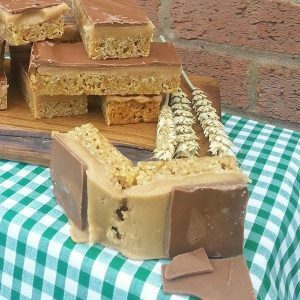 At Homemade By Linda, I have also won the Aspire Winner 2015 award for my scrumptious cakes and bakes and the Shires Magazine tried and tested Cake Specialists award. March 2017 interviewed by Radio Leicester for ‘cottage industries’. All orders are freshly made, carefully wrapped and delivered in a stylish reusable tin. I can bake you a cake to make any event special. Getting married? Many people are opting to have a “Homemade Baked Goods” stand at their wedding rather than the usual desserts. 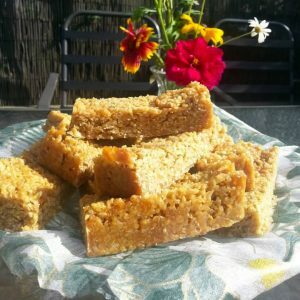 Why not treat your guests to an array of brownies, flapjacks and other homemade baked treats? Whether you have an upcoming birthday party planned or are hosting a corporate event, I can have your order delivered within the scheduled time. 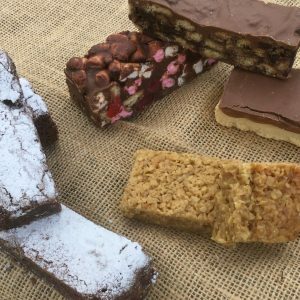 If you’re looking for a unique gift, choose from my range of traybakes. For additional information, feel free to speak to me today. Looking for cakes online for an upcoming event in Leicester? Call me on 07800 801 124 for more information. Based in Elmesthorpe, I can have your order delivered anywhere in the UK including Birmingham, Leicester, Oxford, Cambridge, Peterborough, Milton Keynes and Loughborough. 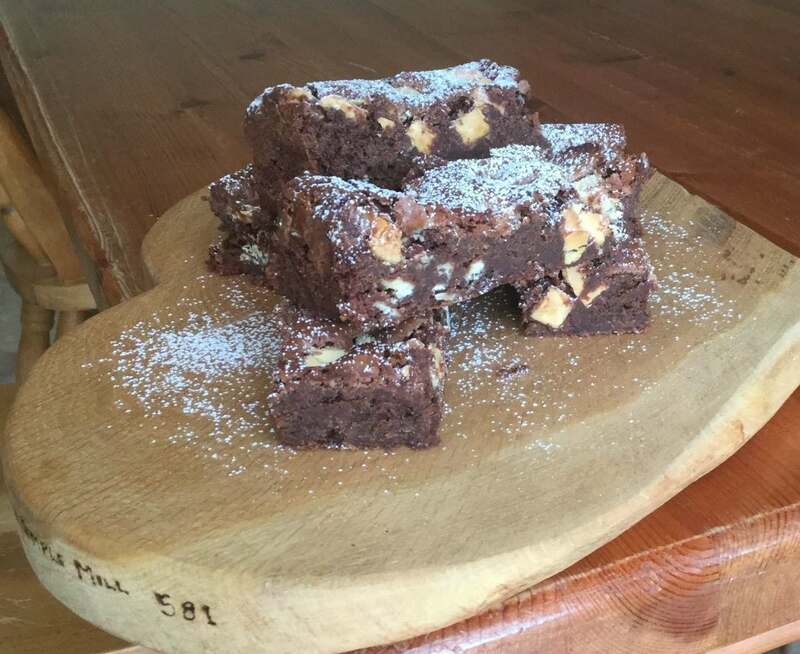 "Linda supplies us with her amazing brownies and handmade cakes which are to die for! 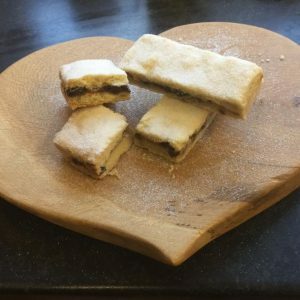 Definitely a great treat for anyone who likes something quality and nice"
"Homemade by Linda’ is a quality business from the initial contact to collection of order. The assortment of cakes, which included chocolate, coffee and walnut and lemon drizzle were sumptuous. The brownies were to die for. All guests at the party commented on the amazing quality of baking, including the gluten-free assortment. Thank you for making this occasion so special. We’ll be back for some extra special Christmas gifts." 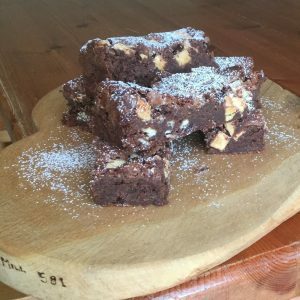 "After trying one of Linda's chocolate brownies, we decided to have some for our wedding, They were so good that they were all gone when I went to get one! 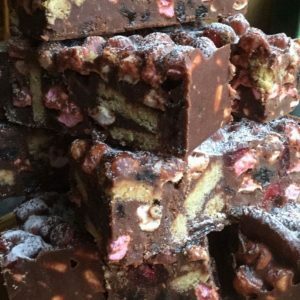 Would definitely recommend Linda's cakes- so yummy"
"My daughter received a beautiful tin of brownies and they were awesome! Lovely gift idea, would definitely recommend." 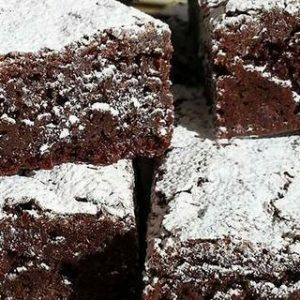 "I was sent a beautiful, unexpected tin of brownies as a housewarming gift, not only was this a "sweet" idea, they were also the nicest brownies I have ever eaten. I had to ration them to one a day or I would be the size of the house I moved into. 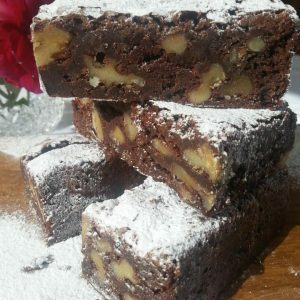 Absolutely gorgeous, thanks"
"I can now leave a happy review as both a sender and a receiver of these great cakes - firstly, I sent a tin of brownies (on recommendation from someone else) as a thank you to a client that I had been working with - they were both surprised and delighted! Now I've received my own tin of delicious brownies (which I am begrudgingly sharing with my Hubby!) 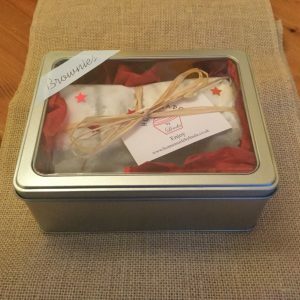 - the brownies themselves are delicious and rich - and they come beautifully packaged- in greaseproof paper, tissue paper, beautifully tied with raffia ribbon and then inside a fabulous sealed tin. It really is a delightful gift to give and receive. Thanks Linda - will definitely be ordering more!" "Excellent service. Great quality, freshly homemade buffet. Very accommodating with regards to special dietary requirements, gluten free, vegetarian and vegan guests all catered for. Lovely selection of cakes. Great communication throughout. Good value for money and arrived at agreed time to setup. Highly recommended."